Will there be a Mugen Honda Fit? 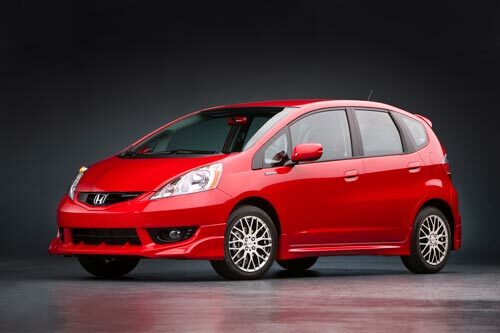 So, according to Autocar, in-house Honda tuner, Mugen, wants to build a hot version of the Honda Fit. And no, I'm not talking about the semi tarted-up Mugen version Honda displayed at the 2009 SEMA show (see above). This would reportedly be as much as 197 hp using a supercharged version the Honda CR-Z's hybrid powerplant. Not only would this likey make the Honda Fit a quick hot hatch, it'd likely make it the world's most expensive Honda Fit, especially if it's wearing a Mugen badge (example: The Mugen Civic Si was $30,000 here in the U.S.). It should be noted it was Mugen Euro that wants to build this, you can all just calm down. I'm sure we'll never see it in the U.S. How's that for the power of positive thinking? Sweet! honda needs to build there sport cars section up again.